2 Combine Hellmann's® or Best Foods® Sunflower Oil with a hint of Lemon Mayonnaise Dressing and thyme in small bowl. 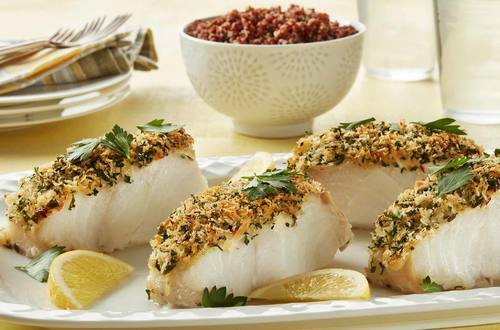 Arrange cod on baking sheet. Evenly spread with Mayonnaise mixture. Combine bread crumbs and parsley in small bowl and sprinkle over top. 3 Bake 15 minutes or until cod flakes with a fork. Serve, if desired, with lemon wedges.